Size and shape of a European Reed Warbler, having a flat crown and long bill. 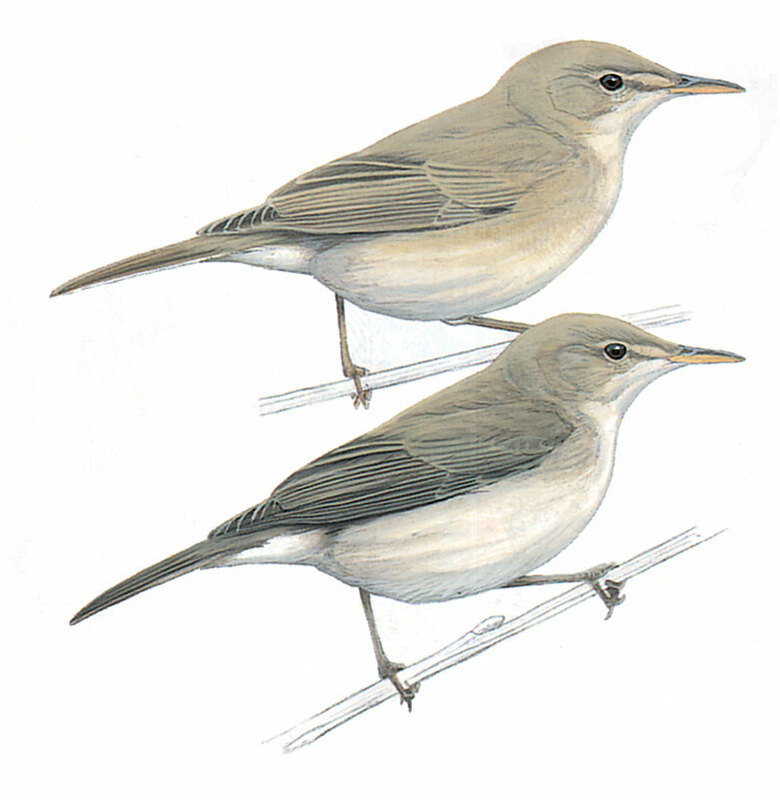 However, Olivaceous Warbler is more grayish with a square-ended or little slightly rounded tail and shorter under tail coverts. It can mostly be mistaken with the Greater and greyer Upcher’s Warbler.Upper parts olive brown, tinged greyish on head and mantle. underparts whitish. Wings and tail brown. Pale eye-ring and indistinct supercilium. Long rather heavy bill, with yellow-pink lower mandible. Legs grey.Often flicks tail downwards.